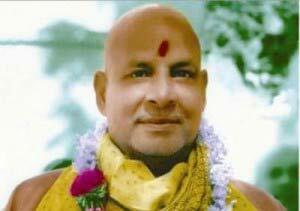 Born in 1887 in Pattamadai, Tamil Nadu, South India, Swami Sivananda, whose name was then Kuppuswami, had an inclination towards spirituality since his birth itself. His natural selfless spirit led him to a career in the medical field. Filled with a tremendous desire for spiritual growth and enlightenment, Kuppuswami left his work at Malaya and reached the foothills of Himalaya. There in the holy town of Rishikesh (which means “the abode of the sages”), Kuppuswami discovered his Guru who gave him Sannyasa (a monk’s vows of renunciation). After an intense Sadhana (spiritual practice) and austerities, Kuppuswami became one of the most prolific Masters or a Yogi of the recent era. One cannot get knowledge without Guru. I feel privileged enough to have come across a lot of writings of Swami Sivananda Saraswati. And also in my strive to get the knowledge of Yoga till now, I feel that the contribution of Swami Sivananda has been the best as a Great Master and a Great Yogi, the parallel of which cannot be drawn. I bow down here to Him for his blessings. Sri Swami Sivananda Saraswati, After serving as a medical doctor in Malaya, renounced his practice to search for his Guru in the foothills of the Himalayas. He settled in the sacred valley of Rishikesh and was initiated into the Dashnami Sannyasa tradition in 1924 by Swami Vishwananda Saraswati. Swami Ashram gave the world great Yogis like Swami Satyananda Saraswati, Swami Chidananda Saraswati, Swami Vishnudevananda and a lot of others who went to different corners of the globe to teach the simple way of Yogic living that Swami Sivananda has taught. He wrote hundreds of spiritual books and articles on Yoga to introduce the Yogic values in the minds of a common man. He founded the Divine Life Society at Rishikesh in 1936, the Sivananda Ayurvedic Pharmacy in 1945, the Yoga Vedanta Forest Academy in 1948 and the Sivananda Eye Hospital in 1957 and attained Maha Samadhi on 14th July 1963. As a major spiritual voice of his time, Sri Swami Sivananda Saraswati guided thousands of spiritual seekers, disciples, and aspirants all over the world.